A few years ago I celebrated my 25th birthday in the Eastern Sierra. I had four whole days dedicated to fun, some driving to and from the Bay Area, but no agenda. I’d been to the East Side before, to tackle Mt. Whitney and some ice climbing, but had never driven the length of 395. I’m always stuck with the dilemma of trying to see something of everything, or sticking to just one spot. For my 25th trip around the sun, I was going to try to see a bit of it all. From Taylor Swift and Luke Bryan tickets booked months in advance to Outdoor Retailer, August was a pretty jam packed month for me. I took a look at my calendar, saw one free weekend and knew I had to capitalize on it or be sad forever. I texted my friend Bobby and put together a game plan. 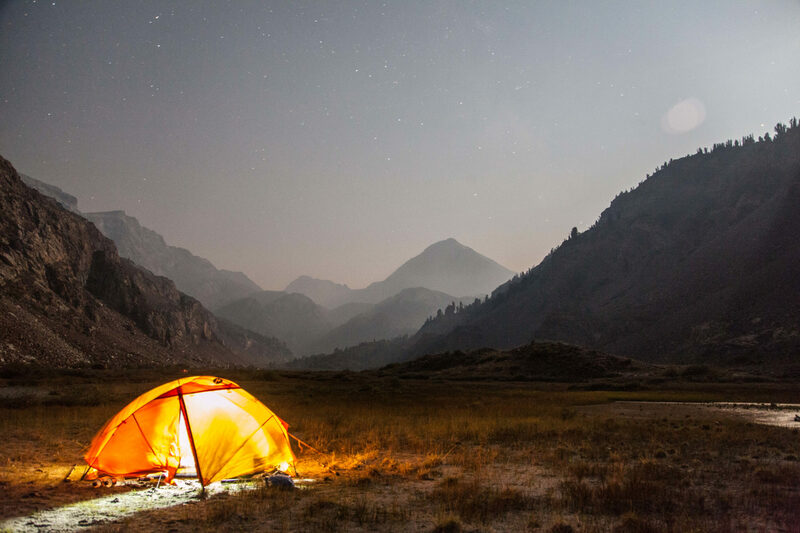 We were going to head to Mildred Lake up Convict Canyon for some epic and mellow backpacking. 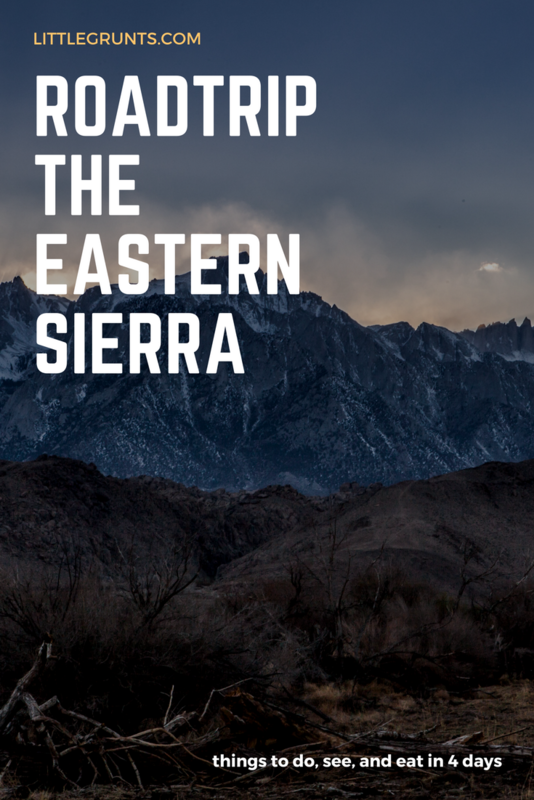 For my 25th birthday, I took a road trip through the Eastern Sierra. 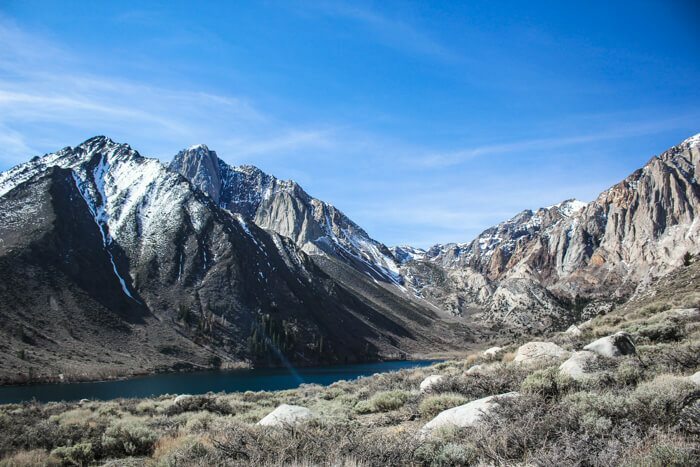 Renown for its mountain views, Convict Lake ranked high on my to-visit list. Located just south of Mammoth, this was the perfect stop on my way down to Bishop.